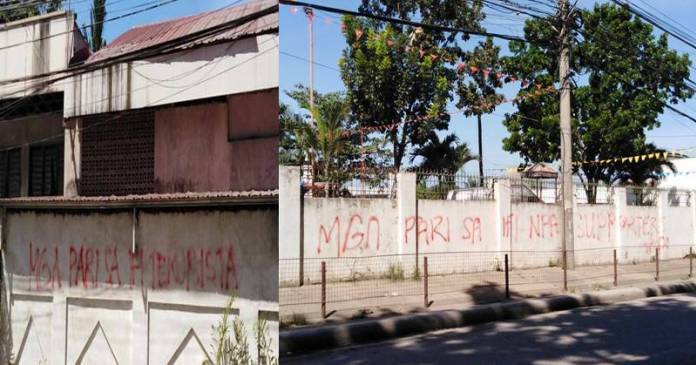 MANILA – A priest of the Iglesia Filipina Independiente based in Iloilo has been subjected to surveillance on Jan. 30, an urgent alert circulating on various social media platform said. “With the relentless attack against the Church and its shepherds, I cannot but feel threatened and enraged by the audacity of state forces who has openly targeted civilians – peace and justice advocates – in their so-called anti-insurgency war,” said Fr. Marco Sulayao, a priest of the IFI. In the urgent alert, Fr. Sulayao said he was on his way to a clergy meeting in Bacolod City when he noticed three uniformed policemen seating nearby while he was aboard a fast craft. Then, upon reaching Bacolod, he again noticed seven soldiers eating at a table next to him in a local cafeteria. Several police officers also took photos of him and left without a word as soon as he stepped off the bus in San Carlos City at around 4:00 p.m. Such attacks against the Church is not a first under the present administration. No less than President Rodrigo Duterte, himself, had publicly urged bystanders to kill and steal from so-called “rich” bishops. Last year, IFI Bishop Antonio Ablon was openly vilified as a supporter of armed revolutionaries. The following day, on Jan. 31, more IFI priests were also tailed. IFI National Program Coordinator Fr. Christopher Ablon said that two burly-looking men have subjected him and three other priests Marciano Carabio, Jerome Lito and Arnold Abuel to surveillance. At around 7:00 p.m. on Jan. 31, they were informed by the security guard of the IFI National Cathedral that two men have been “nosing at the premises for more than an hour already.” The two were seen standing across the cathedral’s side entrance along Escoda street. Fr. Ablon said that about 30 minutes later, they decided to once again go out for dinner and noticed that the two were still standing outside. “Alarmed, I watched them closely. I can sense that they were not comfortable of my stare. Their body gestures show they were uncomfortable. They turn their faces away. The other one even turned his back to face the wall for a while. When he faced back again, he avoided my stare and even squatted. Both were making their bull caps useful,” he said. The priests were still tailed as they took a tricycle with the two men riding their motorcycle. “My colleague noticed that the one at the back ride put his hands inside the bag and took something shiny, then he covered it with a gray jacket. He alarmed us that they are just behind and told us what he saw,” Fr. Ablon said, adding that this prompted them to stop the tricycle and return to the cathedral while those following them were stuck in traffic. Our churches and establishments have always been open to everybody who seeks sanctuary especially the poor, oppressed and the marginalized,” said Bishop Calang in a statement.